Visit Lynmouth Devon and the surrounding villages and stay in bed & breakfast, hotel or holiday cottage accommodation provided by BedPosts members. Lynmouth is a village in Devon positioned north of Exmoor, in a gorge below the village of Lynton, where the rivers West Lyn and East Lyn meet. 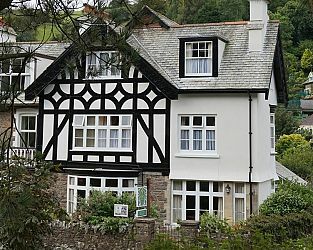 If you seek accommodation near Lynmouth in Devon you have come to the website of a “club” of providers who offer affordable quality accommodation around UK in hotels, bed and breakfasts, guesthouses, inns, and restaurants plus self-catering cottages and apartments .